Dr. Michael Lau has the unique background of being a urogynecologist, pelvic plastic surgeon, and cosmetic surgeon, enabling him to provide the best care for women desiring to improve their self image. Dr. Michael Lau received his residency training at the Henry Ford Hospital in Michigan under Professor C. Paul Hodgkinson, a recognized pioneer in urogynecology. 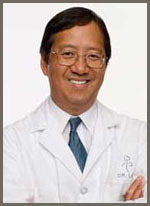 Dr. Lau developed his surgical expertise in the urinary incontinence and genital relaxation and prolapse procedures, many of which were developed by Dr. Hodgkinson. A Board certified gynecologist, Dr. Michael Lau is an experienced surgeon specializing in laser surgery and minimally invasive surgery for more than twenty years. His surgical qualification is attested by his election to be a Fellow of the American College of Surgeons (FACS) and a Fellow of the American College of Obstetricians and Gynecologists (FACOG). With a background of advanced graduate training in physics, Dr. Lau is one of the few surgeons who started using laser in surgery more than 20 years ago and has taught laser surgery courses to other physicians. He has also developed patented minimally invasive surgical technologies for clinical applications. Out of his experience with minimally invasive surgery and laser surgery, he has developed a special interest in refining these surgical techniques for cosmetic applications. To broaden his cosmetic surgical expertise, Dr. Michael Lau completed a two-year preceptorship in cosmetic surgery from 1999 to 2001 with Dr. Robert Alexander and Dr. Kenneth Tucker, cosmetic and plastic surgeons of highest professional reputation. With this special training, Dr. Lau has been able to apply the knowledge and skills developed in cosmetic surgery to his existing expertise in minimally invasive surgery, laser surgery, and pelvic plastic surgery, a truly unique combination, to develop and perform procedures in the forefront in improving the appearance and self image. Follow the link for Dr. Michael Lau's biography and credentials.